Mattern Family: The New Home- Details to Come! The New Home- Details to Come! I love the quote you mentioned in the previous post. Our TV just bailed out on us after 13 good years:( Rather than follow the crowd and get a a new flat screen, we got a TV just like ours on Craig's list for $60. Better than $1600, eh? We have never regretted living the life less-ordinary and you won't either:) Wishing you every joy and contentment!!!!! Yay!! Congratulations! 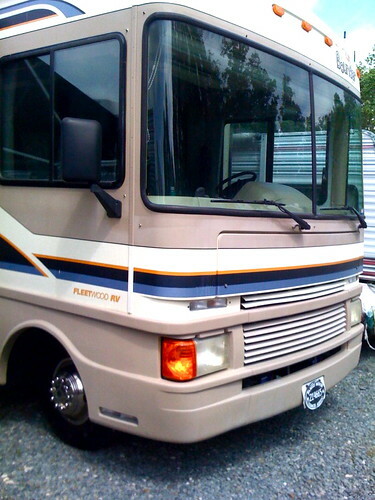 Our first RV was a Fleetwood Flair. You'll love it. Can't wait to see the inside. Awesome! Are your kids loving it? Nice! Oh, I do hope you'll give us a peek at the inside.